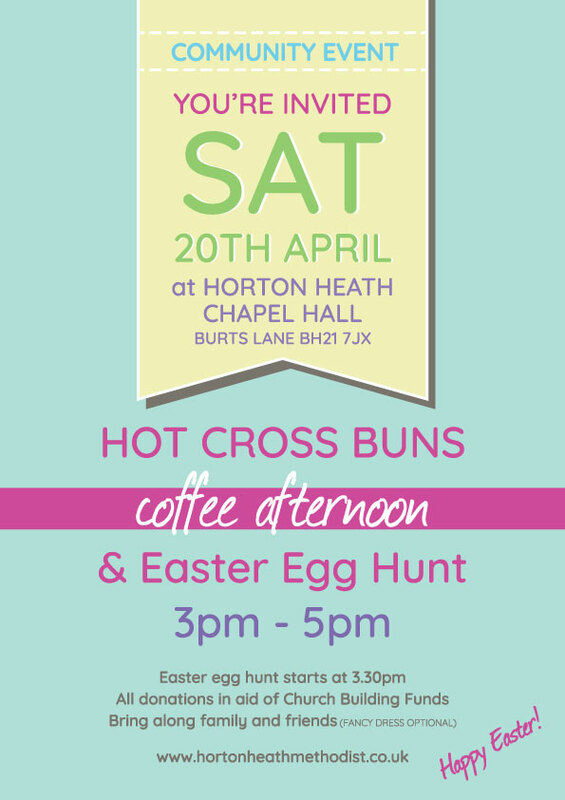 Hot Cross Buns Coffee Afternoon & Easter Egg Hunt! Saturday 20th April between 3pm and 5pm. The Easter Egg Hunt starts at 3.30pm (don’t be late for this very important date!) Easter bonnets, bunny ears or fancy dress completely optional! Build up your energy for the hunt and restore it again afterwards with this lovely seasonal treat. Or simply sit back and relax whilst you enjoy watching the fun with freshly toasted hot cross buns and a knob of butter beautifully melting on top along with a nice warming cuppa. Plus more Easter activities you can enjoy from the comfort of your chair. Bring along family and friends for some fun time out during the holidays, yummy food and good company. All donations in aid of Church Building Funds. Subject this month is ‘Women & Children’. Meets in the church hall. 3pm – 5pm (Easter Egg hunt starts at 3.30pm) – all invited.